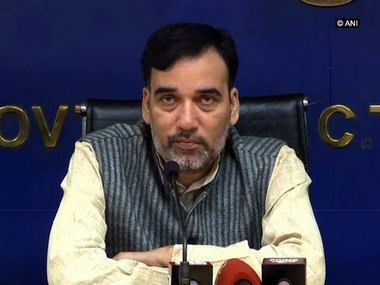 New Delhi: The Congress on Thursday said that the Centre should make public "whatever evidences" it has about any links of some of the Rohingyas with the Islamic State and take action as per Indian law against those found having any such connection. The party, however, said that "false allegations" should not be levelled against any person. Congress chief spokesperson Randeep Singh Surjewala made the statement after Union Home Minister Rajnath Singh said Rohingyas are illegal immigrants and not refugees who have applied for asylum in India. Singh also asked why some people were objecting to the deportation of Rohingyas when Myanmar was ready to accept them. The government, three days ago, told the Supreme Court that some of the Rohingyas were part of a "sinister" design of Pakistan's ISI and terror groups such as the Islamic State, whose presence in the country will pose a "serious" security threat to India. "Whatever evidences the government has on any community's or a person's link to Islamic State, they should be made public. If any individual has links to Islamic State, action should be taken against him or her as per our laws. Deportation is not enough," Surjewala told reporters in New Delhi. He said the government should do what is right when it comes to national security. Noting the issue is pending before the Supreme Court, Surjewala exuded confidence that the apex court will take a "right decision" in this connection. Meanwhile, on the Calcutta High Court's decision to allow immersion of Durga idols on all immersion days from Vijayadashami on 30 September, including Muharram, Surjewala said no one should be allowed to polarise either Navratri or religious festival of any other community. The state government had imposed restrictions on Durga idol immersions on September 30, the Vijayadashami day, after 10 pm, saying no immersion would be allowed on 1 October, the day Muharram is scheduled to be observed. 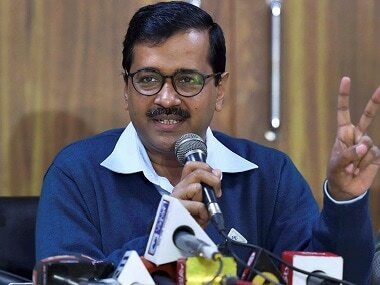 Kejriwal and actor Kamal Haasan in Chennai on Thursday, Surjewala said the AAP leader was looking for new grounds in the country "leaving Delhi", but added he has all the democratic rights to meet whoever he wants. Surjewala, however, said Kejriwal's performance in other states will be judged based on how his government has functioned in the national capital. "And in Delhi, people are talking about their sufferings," Surjewala said. On Pakistan Prime Minister Shahid Kharqan Abbasi reportedly calling India an "existential threat", the Congress spokesperson said the heads of the countries are expected to make statements with "some gravitas and maturity and not casual comments". Surjewala said the world knows India has bore the brunt of terrorism that emanates from Pakistan and that it was time for Abbasi to "introspect". "He needs to first understand democracy. He needs to understand what terrorism is, he needs to understand the role of his country in exporting terror and he needs to take effective steps to check if he has even an inch of sincerity," he said.